If you're tring to figure out which kind of plaid to wear this winter, that answer is easy: both! However, if you only have enough money in your budget and you can only shop for one, then it depends on your fashion sense. So here's how figure out which plaid (or tartan) fashion trend to go with. If you want something way more versatiel, go with an easy red plaid (shown on the right above, by NastyGal.com). It looks better with denim and can go from a day to night look easily. But if you want the trend but want to stand out from the crowd. 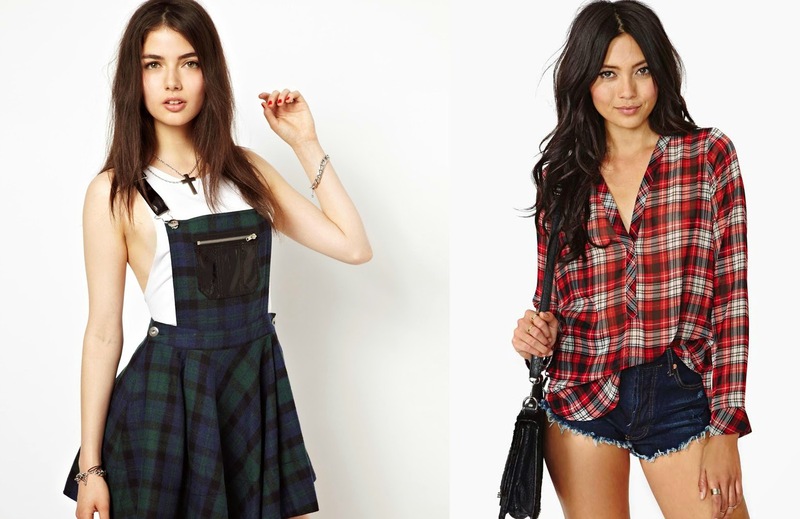 go with green tartan (as shown above on the left, by asos.com). Green tartan looks beautiful when paired with black and has a high-end euro look that makes for a beautiful night-time look (imagine black skinnies paired with black patent Christian Louboutin round toe pumps! Ouch!!!). Which side you end up in the battle of Plaid Vs. Tartan, be sure to send us a pic of your wonderful outfit and we may feature it on our blog! A Happy 2013 Plaid Fashion Trend to to you all!